If someone you know would be daunted by an instruction to "just use Handbrake," Elgato's new Turbo.264 HD software makes it dead easy to convert video files from camcorders and computers for playback on iPads and iPhones and the rest. Sure, you probably know how to get that video you just shot all nice and ready for your iPad, but it's not like it's the most obvious thing in the world. 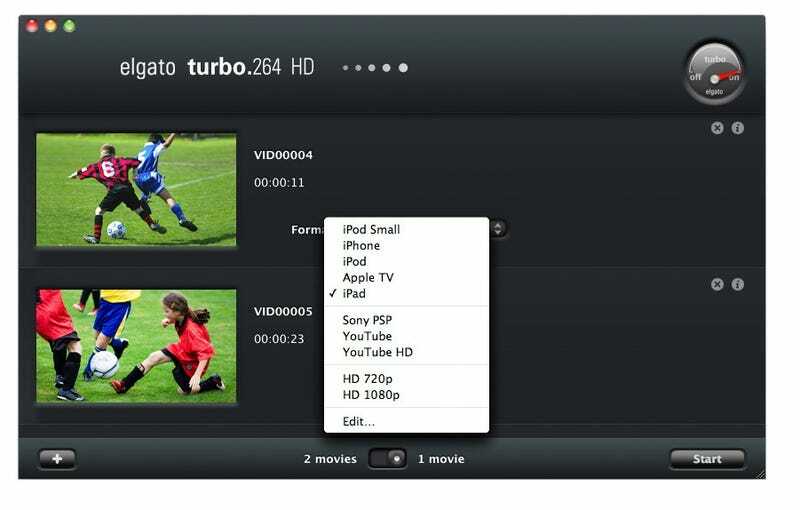 Elgato's Turbo.264 HD can snap up any video, from a computer or your camcorder, convert it to iFriendly H.264, and automatically import it into iTunes for your next sync.